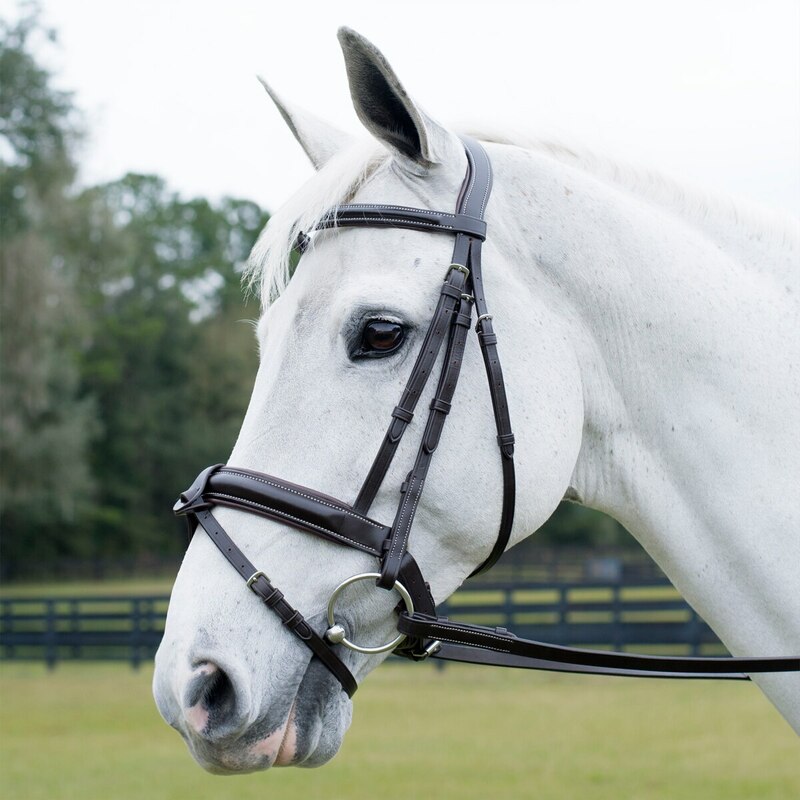 The Wellfleet® Contoured Eventing Bridle is crafted from high-quality leather and thoughtfully designed with your horse’s comfort in mind to give you the luxury features that you want without the luxury price. This bridle features anatomic contouring at the crown that works to reduce pressure on tender areas like the poll and ears, making this an ideal choice for sensitive horses. Plus, with a beautiful espresso brown color and plain stitching, this bridle will look stunning in the ring. 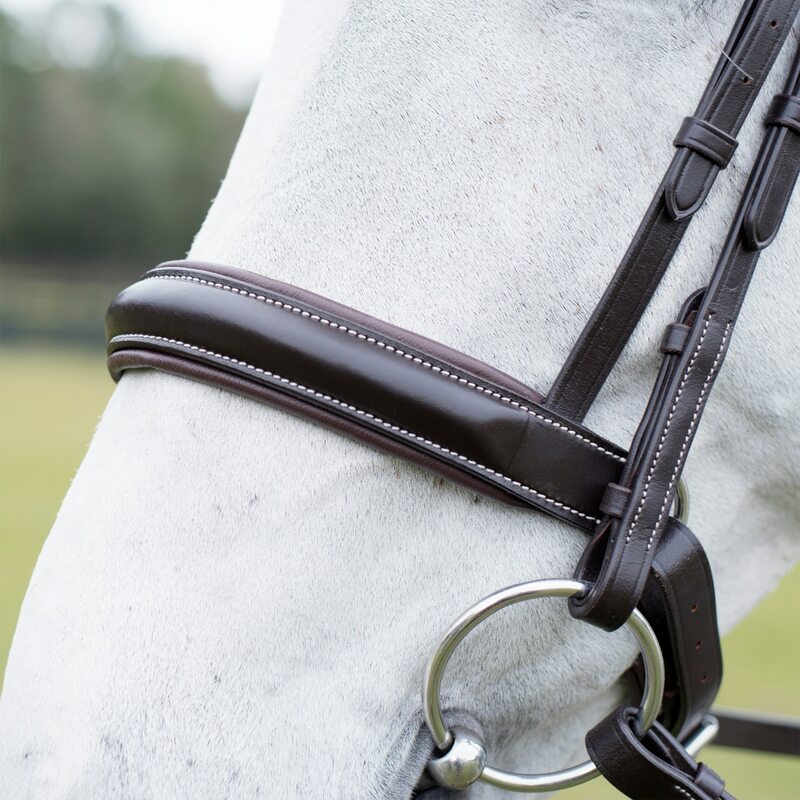 Finally, luxurious padding on the crown, noseband, and browband ensure your horse’s comfort. Complete with 54” raised lace reins with matching fancy stitching. Please note, this bridle is designed to fit with the curved middle of the crown piece facing towards the front of the horse.